Northwest Arctic Borough is a borough located in the state of Alaska. Based on the 2010 census, the population was 7,523. The borough seat is Kotzebue. The borough was formed on June 2, 1986. Northwest Artic Borough is named for its geographic location and position above the Arctic Circle. Northwest Arctic Borough is comprised of the Kotzebue Sound and cities along the Noatak and Kobuk Rivers in Northwest Alaska. This area has been occupied by Inupiat Eskimos for at least 10,000 years. "Kikiktagruk" was the hub of the ancient arctic trading routes. Kotzebue Sound was "discovered" in 1818 by the German Lt. Otto Von Kotzebue on behalf of Russia. In 1899 a post office was established in Kotzebue. Most cities in the borough developed much needed supply stations for Interior gold mining. The Borough government was formed in 1986. Kotzebue, with more than 3,000 residents, is the largest community in the region and is the center of government and commerce in the Northwest Arctic Borough. The primary tourism assets of the Borough include its national parklands, Native culture, adventure and ecotourism opportunities, as well as its "north of the Arctic Circle" allure. More than half of all the land within the region is federally owned and protected as parks, preserves and wildlife refuges. The federal lands include the Noatak National Preserve, Cape Krusenstern National Monument, Kobuk Valley National Park and the Selawik National Wildlife Refuge. Additionally, the Bering Land Bridge National Preserve and the Gates of the Arctic National Park and Preserve are accessible from communities within the Borough. These public lands offer guests unparalleled opportunities for wildlife viewing, kayaking, rafting, sport fishing and camping and feature a variety of unique archaeological sites. In addition to the diversity of recreational opportunities, the area has a number of cultural assets through its rich Inupiat Eskimo Native history. Cultural attractions in the community include the NANA Museum of the Arctic, Eskimo cultural performances, storytelling and opportunities to watch the creation of local arts and crafts, and visits to small, traditional villages. Primary visitor access to the region is by daily commercial jet service from Anchorage to Kotzebue, with some flights routed through Nome. Smaller communities in the region are reached by scheduled and charter air taxi services based in Nome, Ambler and Kiana. In the summer, rivers enable boat traffic between communities. In the winter, villagers travel by snow machine and all-terrain vehicles using well-established trails. There is no road access between communities. The areas of greatest potential for tourism development in the Northwest Arctic Borough lie in finding ways to take advantage of the assets that currently attract visitors. This can involve developing more activities for the Kotzebue visitors both within the community and in nearby villages. It includes developing more opportunities to purchase authentic arts and crafts, more opportunities for quality village experiences and more opportunities to access and experience national parklands. The Northwest Arctic Borough is comprised of the Kotzebue Sound and cities along the Noatak and Kobuk Rivers in Northwest Alaska. It lays at approximately 660 54' N Latitude, 1620 35' W Longitude. 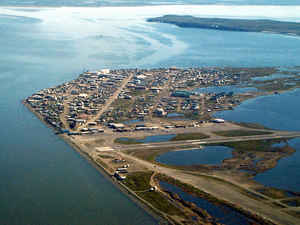 The society is located in the Kotzebue Recording District. The area encompasses 35,863 sq. 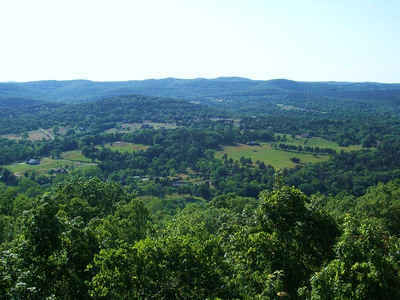 miles of land and 4,799 sq. miles of water. As reported by the Census Bureau, the borough has a total area of 40,749 square miles (105,540 km2), of which 35,573 square miles (92,130 km2) is land and 5,176 square miles (13,410 km2) (12.7%) is water. 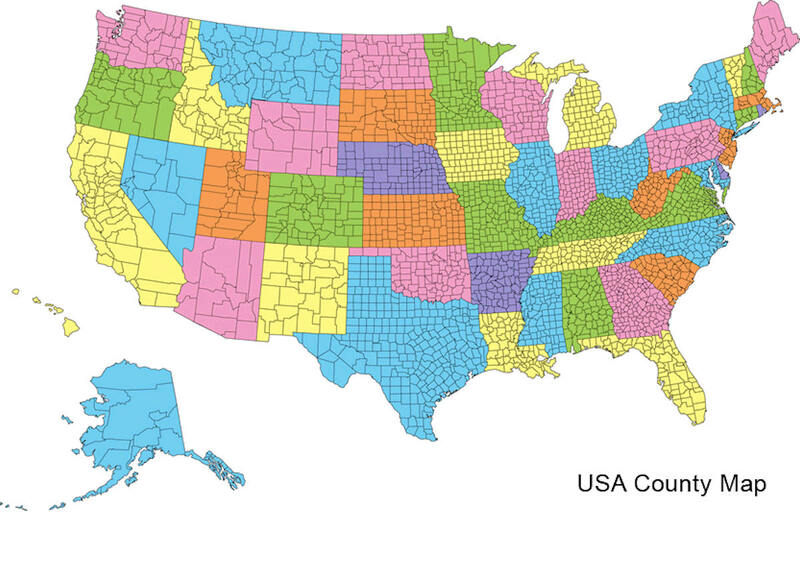 By land area, it is slightly bigger than the state of Indiana. Its coastline is limited by the Chukchi Sea. The Kotzebue Sound, a significant wildlife area, is a prominent water body within the Northwest Arctic Borough. At Kotzebue Sound was recorded the largest polar bear sighted in history, a male weighing 2209 pounds.